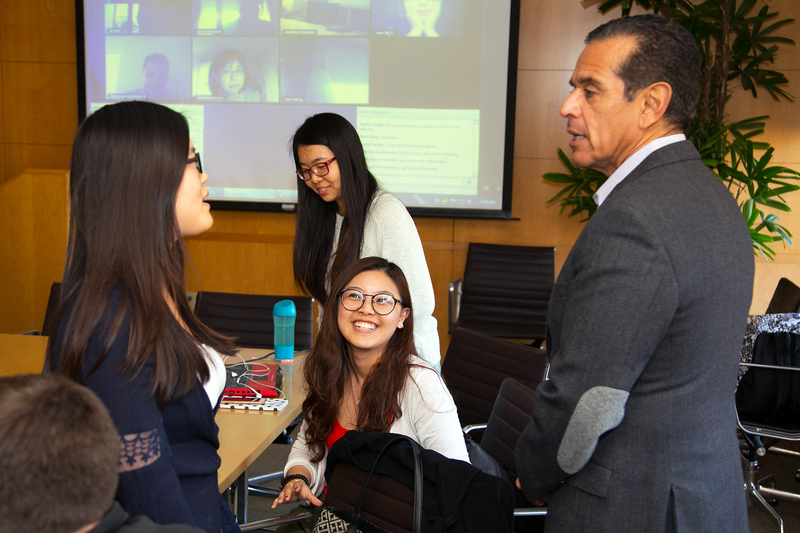 Antonio Villaraigosa provided lessons in leadership and discussed the value of internships at a meeting with USC Price School of Public Policy students. The March 9 talk was part of the “Internship Seminar” course based at USC Price in Sacramento and taught online. 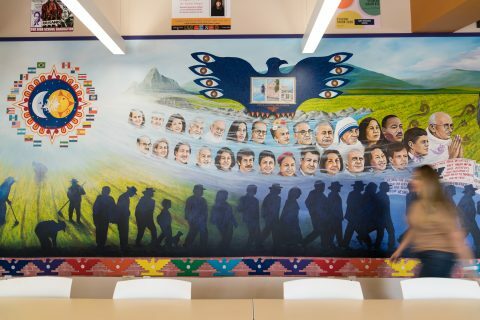 About half of the 14-student class sat in the room with Villaraigosa, while the other half — along with adjunct instructor Jodi Traversaro — participated via video chat. The course focuses on building internship skills, preparing a resume and being ready to interview and network. The former Los Angeles mayor spoke about his professional experiences with interns during his eight years as mayor and six years serving on the California Assembly, including two years as speaker. He encouraged students who wanted to start a career in politics to intern or work for an elected official. However, he cautioned to have realistic expectations on the duties given to interns. I’ve had interns come to work for me who went on to become deputy mayors, but they almost all started [by working on] small tasks. 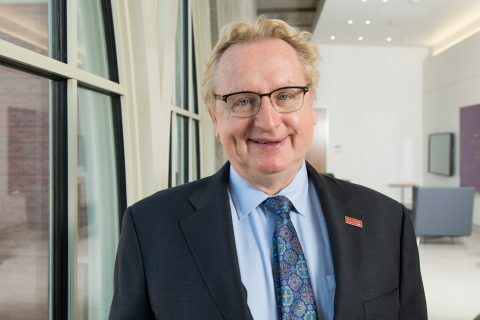 He noted how he liked to start interns in the scheduling office because it provided the opportunity for individuals to show a detail orientation that indicated potential. “We used to test our interns to see how good they were at the small things before we would trust them with something major,” Villaraigosa said. 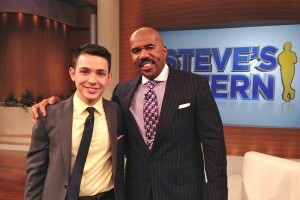 Describing the qualities he looked for in an intern, Villaraigosa valued self-starters who understood the need for quick turnarounds. 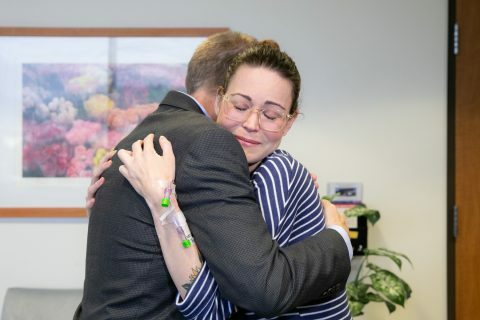 “People who worked for me, whether in the legislature or in the city, had good communication skills, particularly good writing skills, but also verbal skills and good judgment,” he said. Students around the small meeting-room table were struck by the intimate access to a major politician, as students in the room and online were able to ask questions of Villaraigosa. One of Antonio Villaraigosa’s first projects will be to lead the USC Villaraigosa Initiative for Restoring the California Dream. 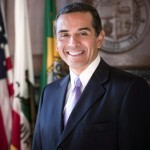 The USC Price School of Public Policy has appointed former LA Mayor Antonio Villaraigosa as a professor of the practice of policy. 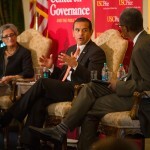 Los Angeles Mayor Antonio Villaraigosa discussed his transportation legacy and the future of transportation in the city during a presentation at USC on May 1. Fernando Hurtado takes on a flurry of assignments in Chicago.